With the arrival of the 2019 INFINITI QX50 comes a fully-redesigned sports utility vehicle which is not only exquisite in looks but plentiful in power and comfort. One thing that hasn’t changed with the crossover, though, are the reliable safety measures all throughout. Not only does the INFINITI QX50 boast an upgraded technology package designed to help manage safe driving, but a host of other features are in place to keep all passengers as safe as possible. Drivers in Oklahoma City, Norman, and Edmond, OK are encouraged to visit Bob Moore INFINITI, your car dealership Oklahoma City, to learn more about how the 2019 INFINITI QX50 can help protect you and your passengers. As one of the most luxurious sports utility vehicles on the road today, the 2019 INFINITI QX50 is the complete package. And, nowhere is that more evident than in the safety strides it takes to give you peace of mind during every outing. With safety measures of all shapes, sizes and technology levels loaded all throughout the 2019 INFINITI QX50, a highlighted overview begins here. In today’s world, staying connected to your world, even on the road, is important. In the 2019 INFINITI QX50 from Bob Moore INFINITI, advanced technology features allow you to roam while you, well, roam. Part of that advanced technology package is a set of safety features to better help you maneuver your way in all traffic situations. While there is no replacement for your hands, feet and eyes to successfully navigate the way through stop-and-go traffic, the ProPilot Assist package is on board to help. ProPilot Assist, which makes its INFINITI debut with the 2019 QX50, is a mixture of adaptive cruise control and steering-assist systems designed to help keep the vehicle in its rightful lane. While it’s very convenient in stop-and-go traffic, there is never a substitute for a focused driver. The 2019 INFINITI QX50 offers many more safety features via advanced technology, like the ProAssist and ProActive packages. To find out how you can take advantage of all these technological safety features, visit INFINITI Oklahoma City today. Stay connected to your world as you remain safer. Technology has indeed come a long way as it relates to the driving experience. While it aids tremendously in the effort to keep drivers and passengers safer on the go, there are more traditional ways to feel safe in a 2019 INFINITI QX50. Other safety features include a surround- view camera system with front and rear parking sensors, automatic high-beam headlights and advanced seatbelt technology. No, we haven’t forgotten about the most traditional, yet irreplaceable, piece to the safety puzzle; Airbags. A host of airbags come standard all throughout the 2019 INFINITI QX50. In each of the crossovers, drivers and passengers will potentially benefit from Front, Side, Overhead and even Knee Airbags. 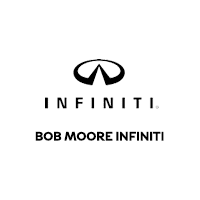 Visit Bob Moore INFINITI today. Let us show you all the ways – from traditional to technological – our safety measures will indeed give you better peace of mind on your next outing. The 2019 INFINITI QX50 lives not just up to, but beyond, its label as a luxury crossover. Not only will it turn heads with its stunning beauty, but having been completely redesigned, it provides better comfort, more space, and terrific technology. Beyond that, the 2019 INFINITI QX50 is as reliable of a vehicle as there is on the road today. There are countless ways in which the 2019 INFINITI QX50 builds up those feelings of confidence, but nothing positively impacts that motivation factor quite like feelings of safety. Beautiful. Advanced. Comfortable. Safe. That’s the 2019 INFINITI QX50. Visit Bob Moore INFINITI today to either test-drive the new 2019 INFINITI QX50 or simply learn more about it. We understand that buying a new vehicle is one of life’s bigger decisions, which is why you will always be met by a member of our friendly, professional and never-pushy team.